The Animal Kingdom Lodge will transport you from a theme park vacation to a safari in the blink of an eye. The theming and architecture form the perfect marriage and create something that is more of a work of art than a resort. This beautiful resort not only houses guests on their dream vacations, but it also home to many animals including zebra, giraffes, flamingos, ostriches, and gazelle. 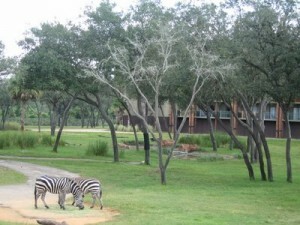 There are three separate savannahs that some guest rooms overlook, but all guests can enjoy from the corridors and the outside viewing areas. These savannahs are: Arusha, Sunset, and Uzima. 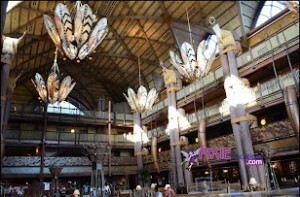 If you are looking for a beautiful resort with a wild side than the Animal Kingdom Lodge is right up your alley! Mara- Mara is a quick service restaurant that offers both indoor and poolside seating. You will enjoy flatbreads, burgers, nuggets,a nd sandwiches along with snacks and a refillable mug station. Mara is open for breakfast, lunch, and dinner. Boma Flavors of Africa- Is a table service buffet offering breakfast and dinner. Boma is a very popular restaurant so reservations are recommended. Boma serves food everyone in the family can enjoy including wood roasted meats, African breads, macaroni and cheese, soups, salads, and a variety of side dishes with wonderful desserts for dinner. Breakfast includes pancakes, waffles, bacon, eggs, breakfast pizza, carved ham and so much more! In fact there are over 40 breakfast items included in the buffet! 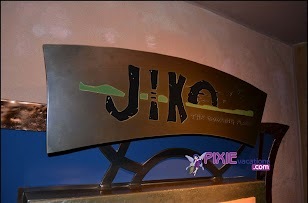 Jiko…The Cooking Place- Jiko is a signature restaurant which will cost you two meal credits if using the dining plan. Jiko offers an menu that serves up fresh foods with an African flair. The restaurant is beautiful. Popular dishes include the braised beef short ribs and the filet Mignon. Also not to be missed is the macaroni and cheese side! 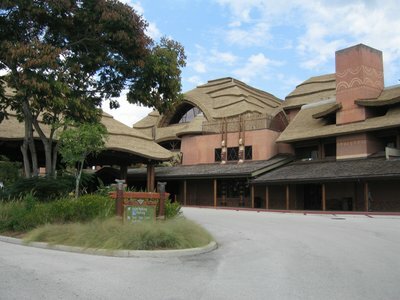 Recreation: There is lots to do at the Animal Kingdom Lodge! Swimming in the zero depth entry Uzima pool and Kiddy pool. Shopping at Zawadi Market Place where you can buy resort related souvenirs, snacks, beverages, clothing, and even some artistic pieces! Transportation: Transportation is available to all theme parks, water parks, and the Down Town Disney area by bus only. 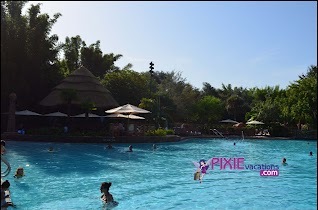 Quick Review: Animal Kingdom Lodge is a beautiful resort and is worth a stay for all nature lovers, families, and romantics. It is an escape from reality with a fabulous story to tell. The only drawback to the resort is the location. Because the animals need room to roam and to be cared for, the resort is pretty far out there! You are only given the option of transport by bus, car or cab which can make for some waiting if relying on Disney transportation. If you do not mind a bit of extra travel time in exchange for a beautiful resort and a one of a kind experience you need to give AKL a shot! This entry was posted in Deluxe Resorts, Resort Spotlight and tagged animal kingdom lodge, Deluxe resorts, pool, safari, savannah. Bookmark the permalink. ← Deep Thoughts; To Party or Not to Party?